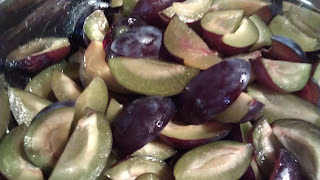 Remember that 4 lbs of plum? I finally dealt with them. I found a very interesting recipe by Ina Garten. 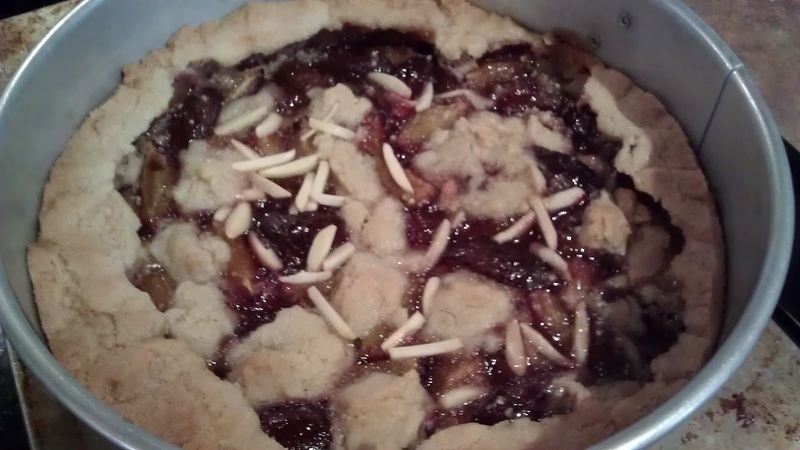 It sounded great and I would be able to use up the last of the 1.5 lb of fruit by making 2 tarts! I love her show and found her very inspiring. I am a fan!! 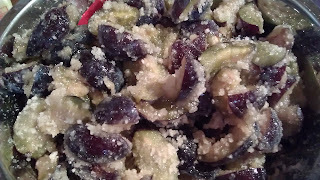 I also love the flavor combination of almond and plum. I remember making a plum bread a few years ago with almond meal. 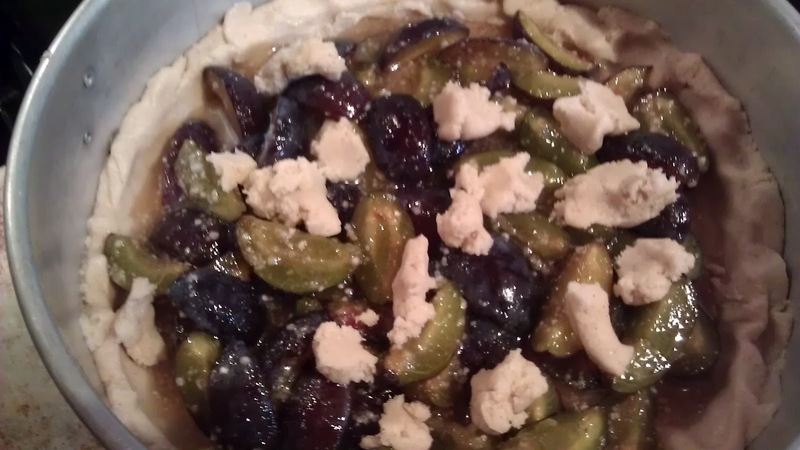 I decide to replace 1/4 cup of flour with the almond meal and also adding a sprinkle of almond slivered on top, so that people will know there is nut in the tart. It was a little greasier than our classic bar and ours is less work too! May be I should try to make this again with our crust! Note: I made 2 tarts here. 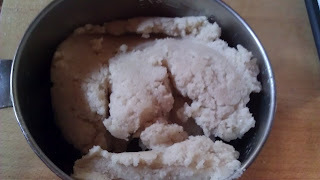 Recipe is for one. Preheat the oven to 350 degrees. Butter and flour a 9-inch springform pan and place it on a sheet pan. Place the plums, tapioca, creme de cassis, and 3/4 cup of the sugar in a mixing bowl and stir to combine. 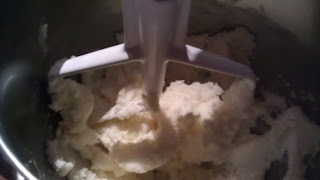 In the bowl of an electric mixer fitted with the paddle attachment, cream the butter and remaining 1 cup of sugar on medium speed until light and fluffy. In a small bowl, combine the flour, almond meal, cinnamon, salt, and baking powder. 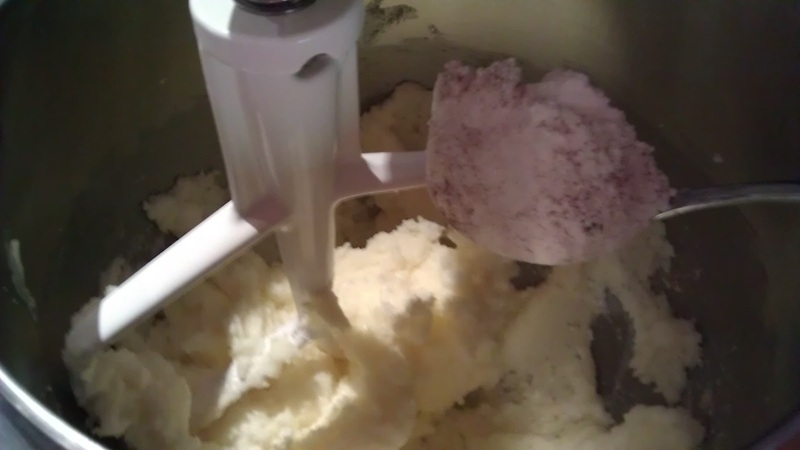 With the mixer on low, gradually add the dry ingredients to the butter mixture until it forms small, dry crumbs. 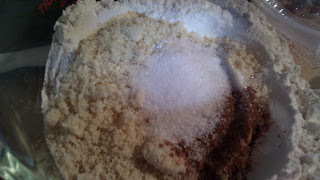 Add 1 tablespoon of cold water and continue to beat for about 30 seconds, until the mixture forms large, moist crumbs. 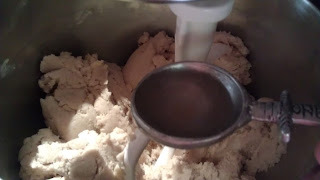 pour the rest into the springform pan. 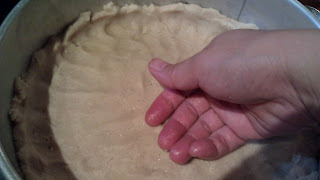 With floured hands, lightly pat the dough evenly in the bottom of the pan and 1 inch up the sides. Arrange the plums evenly on the crust. Sprinkle the remaining crumb mixture evenly on top. Sprinkle a handful of almond. Bake for 1 hour, until the fruit is bubbling and the crust is golden. 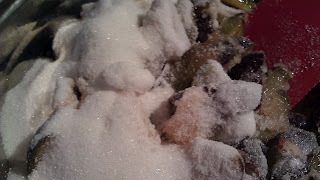 Cool for 15 minutes, then remove the sides of the pan and serve warm or at room temperature.